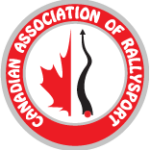 We’re pleased to announce that Braille Battery is the Official Battery Supplier to Canadian Automobile Sport Clubs – Ontario Region and the St LAC as well. Braille will offer a rotating monthly discount package on all of its products to CASC–OR and its associated clubs and members. Simply send Liam an email with your voucher’s corresponding ‘voucher code’ on it. From there Liam will set up their order and apply the discounts. LKQ Corporation (Nasdaq: LKQ), an S&P 500 company, is a leading provider of alternative and specialty parts to repair and accessorize automobiles and other vehicles. LKQ is a leading distributor and marketer of specialty aftermarket equipment and accessories in North America, the largest distributor of mechanical and collision alternative parts in the United Kingdom, and the largest distributor of mechanical parts in the Netherlands. With LKQ’s acquisition of Pittsburgh Glass Works LLC (“PGW”), LKQ has also become a leader in the design, production and supply of automotive glass to OEMs. LKQ has operations in North America, Europe, China and Taiwan offering its customers a broad range of replacement systems, components, equipment and parts to repair and accessorize automobiles, trucks, recreational and performance vehicles. 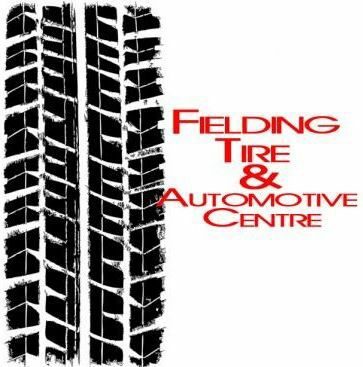 St LAC is pleased to announce that Fielding’s Tire & Auto has joined the growing list of club supporters. Fielding’s Tire & Auto has been located at 900 Princess St. in Kingston, ON for the last 34 years. We serve the auto repair and new tires and wheels needs of customers in Kingston, Napanee, Brockville, and surrounding areas. To encourage more people to come and try our events, we have broadened the types of competition licences we will accept. The list now includes BMWCCA and PCA licences. We have been accepting these licences on a “driver by driver” basis for the last couple of years, we’re just bringing the rules in line with what we’ve been doing. You may have noticed that we’ve switched our Physician’s Medical Examination form for 2017. We are now using the same form as ASN Canada. In addition, in years that you don’t require a medical examination, there is a Medical Self-declaration Form to be submitted with your renewal. For the last couple years we have been investigating altering the frequency of medical examinations. We aren’t there yet, but we’re going to keep trying. The Self-declaration forms are part of this process. 1) display “rookie” triangles on their cars so that the rest of us know who you are and can give you a little more room. With these changes, we’re going to need qualified Instructors at the track. These will be experienced drivers that can observe, teach, and mentor new competitors. 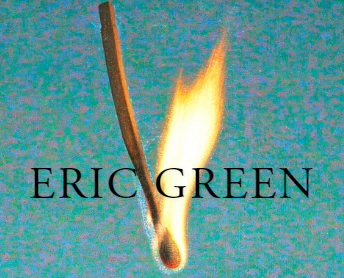 If you’d like to be involved with this send me an e-mail so we can talk about it. You say you want lapping? So until the coffers are over-flowing, we’ll have to content ourselves with the offerings of others. The cost for each session is $160 if paid in advance or $200 at the gate. Shannonville will also be offering its Brack Driving Concepts Courses on these days too. This program has to be booked one week in advance and costs $300 plus HST for the day. You can find out more about both of these opportunities at SMP. 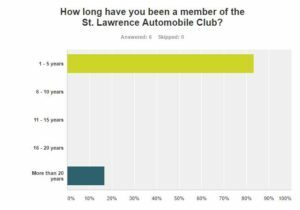 Earlier in the Year, St LAC members — past and present — were asked to let us know what’s important to them. 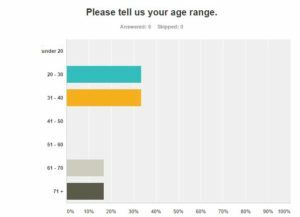 Thanks to the input (so far as the survey is still open) your Executive can zero-in that much better on what the Big Picture should be. I like to keep things simple, fun, cheap and laissez faire. I don’t mind pitching in with fees, etc, but I can’t really give up a whole heap of time. I really appreciate the effort that you guys have gone to. Regarding #9, when you say race, I think you mean wheel to wheel road racing which is something I’d like to do but is not in the cards for me right now. I’m happy to participate in autocross and lapping events in my car and maybe time attack down the road. Hands up if you remember this. Bet that driver was cold. With thanks to Brad Hulton for sending this our way. Import Auto Supply has been providing Kingston and area auto enthusiasts with the parts and accessories they need to keep them going both on and off the track for more than 25 years. Whether it’s domestic or import (their specialty) show Mike your St LAC card and newbies will receive a jobber rate like his established clientele. Please go to Import Auto Supply for more information.